By its decision of 2 December 2008 the Council of the European Union established an Independent International Fact-Finding Mission on the Conflict in Georgia (IIFFMCG). This is the first time in its history that the European Union has decided to intervene actively in a serious armed conflict. It is also the first time that after having reached a ceasefire agreement the European Union set up a Fact-Finding Mission as a political and diplomatic follow-up to the conflict. […] The present Report is the result of the mandated inquiry. On the night of 7 to 8 August 2008, after an extended period of ever-mounting tensions and incidents, heavy fighting erupted in and around the town of Tskhinvali in South Ossetia. The fighting, which soon extended to other parts of Georgia, lasted for five days. In many places throughout the country it caused serious destruction, reaching levels of utter devastation in a number of towns and villages. Human losses were substantial. At the end, the Georgian side claimed losses of 170 servicemen, 14 policemen and 228 civilians killed and 1 747 persons wounded. The Russian side claimed losses of 67 servicemen killed and 283 wounded. The South Ossetians spoke of 365 persons killed, which probably included both servicemen and civilians. Altogether about 850 persons lost their lives, not to mention those who were wounded, who went missing, or the far more than 100 000 civilians who fled their homes. Around 35 000 still have not been able to return to their homes. The fighting did not end the political conflict nor were any of the issues that lay beneath it resolved. Tensions still continue. The political situation after the end of fighting turned out to be no easier and in some respects even more difficult than before. […] [T]he conflict has deep roots in the history of the region […]. […] [On] 9 April 1991, […] Georgian independence emerged out of a severe crisis, [following] the downfall of […] [the Soviet Union]. […] There was one important legacy from the Soviet era, though: the subdivision of Georgia into three political-territorial entities, including the Autonomous Republic of Abkhazia and the Autonomous Oblast’ (district) of South Ossetia. Of course there also remained overall Georgia with its capital city Tbilisi, within its internationally recognised borders coinciding with the former “Soviet Socialist Republic of Georgia” […]. During the period of transition to post-Soviet sovereignty the country’s first President, Zviad Gamsakhurdia, then did a lot in terms of nationalism to alienate the two smaller political-territorial entities of Abkhazia and South Ossetia from the Georgian independence project […]. The fighting that finally broke out between Georgian forces and separatist forces, first in South Ossetia in 1991-1992 and then in Abkhazia 1992-1994 ended with Georgia losing control of large parts of both territories. There was support from Russia for the insurrectionists, yet it seems that the Russian political elite and power structures were divided on the issue and partly involved, and Moscow remained on uneasy terms with Tbilisi at the same time. 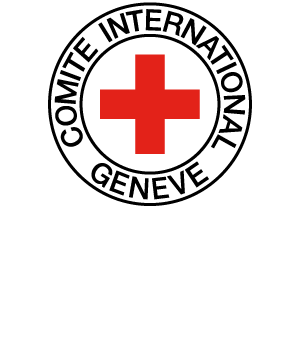 […] Georgia and the Russian Federation are parties to the main IHL treaties, including the four Geneva Conventions of 1949 and the two additional protocols of 1977, together with the 1954 Convention for the Protection of Cultural Property in the Event of Armed Conflict. The Russian Federation is also a party to the 1907 Hague Convention (IV) respecting the Laws and Customs of War on Land. Furthermore, it is well recognised that the rules contained in this latter instrument have become part of customary international humanitarian law. The question remains whether, when the cease-fire occurred on 12 August 2008, IHL ceased to apply in relation to the August 2008 conflict. While it could be said that it is fairly easy to determine when IHL starts to apply, it seems more difficult to identify the moment when its application ends, mainly owing to the different formulas used in conventional law. Geneva Convention IV, for example, speaks about the “general close of military operations” (Article 6(2)), whereas Additional Protocol II uses the expression “end of the armed conflict” (Article 2(2)). The International Criminal Tribunal for the former Yugoslavia (ICTY), in its decision of 2 October 1995 in the Tadic case, tried to clarify this point by indicating that: “International humanitarian law applies from the initiation of such armed conflicts and extends beyond the cessation of hostilities until a general conclusion of peace is reached; or, in the case of internal conflicts, a peaceful settlement is achieved.” The ICTY thus rejected the factual criteria that signify the cessation of hostilities. This implies that a cease-fire – whether temporary or definitive – or even an armistice cannot be enough to suspend or to limit the application of IHL. Relevant conventional instruments stipulate that a number of provisions continue to apply until the emergence of a factual situation completely independent of the concluding of a peace treaty. Thus, to quote only some examples, the protection provided for people interned as a result of the conflict (in particular, prisoners of war and civilian prisoners) applies until their final release and repatriation or their establishment in the country of their choice. The hostilities between Georgia and the Russian Federation constitute an international armed conflict between two states as defined by Common Article 2 of the 1949 Geneva Conventions […]. This was asserted by both the Russian Federation and Georgia. Consequently, IHL applicable to this category of armed conflict is relevant. The hostilities between South Ossetia and Abkhazia on the one hand, and Georgia on the other, are governed by the IHL applicable to non-international armed conflict, since both are recognised internationally as being part of Georgia and, at the time of the 2008 conflicts, this was undisputed. The Russian Federation also reached this conclusion. However Georgia seems to classify it overall as an international armed conflict: “in relation to the period from 7 to 12 August 2008, objective evidence shows that there was resort to armed force by the separatists, the Russian Federation and the Republic of Georgia. Therefore, it is beyond doubt that there was an international armed conflict in existence from 7 to 12 August 2008.” This could be the case if one considers that Russia exercises sufficient control over the Abkhaz/South Ossetian forces, as will be discussed later. Given the organised and responsible command of South Ossetian and Abkhaz armed forces, as well as the territorial control exercised by the authorities, the criteria set out in Additional Protocol II for its application are met. Common Article 3 of the Geneva Conventions and Additional Protocol II both apply in the current situation, in addition to relevant customary law. The composition of the Abkhaz and South Ossetian forces remains unclear. […] Various testimonies contain accounts of foreign volunteers such as Chechens operating in the territory of South Ossetia. The presence of 300 volunteers from the Russian Federation was mentioned by the representatives of the Georgian Ministry of Internal Affairs when meeting with the IIFFMCG experts in June 2009. De facto authorities from South Ossetia confirmed to the IIFFMCG in June that volunteers had fought with South Ossetian military forces. The regular armed forces of the de facto South Ossetian authorities unquestionably constitute “an organised and hierarchically structured group”, while the Abkhaz army is described as being made up of “regular” forces and a “well-trained reservist component” with “a command hierarchy.” On the other hand, the situation may be different for isolated armed groups or individuals who acted on their own during the hostilities. In the former case, “overall control” would need to be established in order to render the armed conflict between Georgia and the Abkhaz and South Ossetian armed forces international. In factual terms, one may have to draw a distinction with regard to the nature of the relationship between Russia and South Ossetia on the one hand, and between Russia and Abkhazia on the other. In the former, ties seem to be stronger. During the meeting between the IIFFMCG experts and the representatives of the Ministry of Internal Affairs of Georgia, the representatives stressed the political and economic links between Russia and South Ossetia. They also claimed that Russia exercises control over South Ossetia through various channels ranging from financial help to the presence of Russian officials in key military positions in the South Ossetian forces. At this point it is appropriate to underline that although the classification of an armed conflict as international or non-international is important in terms of the responsibilities of the various parties involved, when it comes to the effective protection by IHL of the persons and objects affected by the conflict it does not make much difference. Indeed, it is generally recognised that the same IHL customary law rules generally apply to all types of armed conflicts. As stressed by the ICJ in the case of the Armed Activities on the Territory of the Congo (Democratic Republic of the Congo v. Uganda), “to reach a conclusion as to whether a State, the military forces of which are present on the territory of another State as a result of an intervention, is an “occupying Power” in the meaning of the term as understood in the jus in bello, the Court must examine whether there is sufficient evidence to demonstrate that the said authority was in fact established and exercised by the intervening State in the areas in question.” [See ICJ, Democratic Republic of the Congo/Uganda, Armed Activities on the Territory of the Congo, para. 173] Ascertaining the existence of a state of occupation is a determination based on facts. The critical question is the degree and extent of the control or authority required in order to conclude that a territory is occupied. Two perceptions exist in this regard, which are not mutually exclusive but rather constitute two stages in the application of the law on occupation. These two stages reflect growing control by the occupying power. This means that, for a part of the law of occupation to apply, it is not necessary for the military forces of a given State to administer a territory fully. While the conventional rules of IHL on the conduct of hostilities were applicable mainly to international armed conflicts, the recent decisions of the international criminal tribunals, as well as the consolidation of the customary nature of IHL rules, demonstrate the exponential development of the applicable customary law in non-international armed conflicts. A distinction on the conduct of hostilities derived from IHL, the distinction between persons and objects, will be used to structure the analysis of the targets attacked. During the conflict, according to Russian peacekeepers, posts manned by Russian and/or Ossetian forces were attacked by Georgian forces. The Russian Federation claims that the peacekeepers were deliberately killed. […] When meeting with the IIFFMCG’s experts in Moscow in July 2009, the representatives of the Investigative Committee of the General Prosecutor’s Office of Russia indicated that 10 Russian peacekeepers had been killed. HRW [Human Rights Watch] […] noted that it was unable to corroborate any of the serious allegations of attacks on or by peacekeepers from Russia and Georgia. Nor was the IIFFMCG able to corroborate such claims, or the claim that Georgian forces had attacked Russian peacekeepers’ bases, with information from sources other than the sides. Even if these claims were to be confirmed, the lack of more precise information would make the establishment of relevant facts and their legal assessment problematic, as the Mission would find itself with two contradictory assertions. When considering direct attacks against peacekeepers, the conclusion depends on whether or not, at the time of the attacks, the peacekeepers and peacekeeping installations had lost their protection. On the other hand, peacekeepers may have been killed or injured as a result of an indiscriminate attack, not specifically directed against them. The Mission was unable to establish whether, at the time of the alleged attacks on Russian peacekeepers’ bases, the peacekeepers had lost their protection owing to their participation in the hostilities. The Mission is consequently unable to reach a definite legal conclusion on these facts. In March 2009 the IIFFMCG was shown by the de facto South Ossetian authorities several administrative buildings, such as those of the Parliament and the de facto Ministry of Foreign Affairs, which they alleged had been hit by Georgian forces. It witnessed the damage caused by these attacks. […] Human Rights Watch also referred to administrative buildings hit by the Georgian artillery, such as the Ossetian parliament building. The Mission was unable to assess each specific attack on administrative and public buildings in Tskhinvali but notes that, although not in themselves lawful military objectives, such buildings may be turned into a legitimate target if used by combatants. This would, however, not relieve the attacker of certain obligations under IHL (e.g. precautions, proportionality). Under IHL, schools are by nature civilian objects that are immune from attack. Several cases of damage caused to schools in the course of the hostilities call for specific attention. Referring to the shelling of Tskhinvali by Georgian forces, Human Rights Watch noted that “the shells hit and often caused significant damage to multiple civilian objects, including the university, several schools and nursery schools, […] some of these buildings were used as defence positions or other posts by South Ossetian forces (including volunteer militias), which rendered them legitimate military targets.” For example, witnesses told Human Rights Watch that militias had taken up positions in School No. 12 in the southern part of Tskhinvali, which was seriously damaged by Georgian fire. The attack on School No. 7 in Gori on 9 August also exemplifies the need to pay particular attention to the circumstances of an attack. According to Human Rights Watch, relying on one eyewitness: “Russian aircraft made several strikes on and near School No. 7 in Gori city. (…) [A]bout one hundred Georgian military reservists were in the yard of the school when it was attacked. (...) None of the reservists was injured. The reservists as combatants were a legitimate target, and it is possible that the school was deemed as being used for military purposes. In such circumstances, it would lose its status as a protected civilian object. In the attack, one strike hit an apartment building next to the school, killing at least five civilians and wounding at least 18, and another hit a second building adjacent to the school causing damage, but no civilian casualties. There were civilians also taking shelter in the school.” In this regard, following the overview of specific objects that were attacked or hit, in this section an assessment will later be undertaken to determine whether the principle of proportionality was respected and whether precautions had been taken to minimise the death of civilians and damage to civilian buildings. The Mission has no information indicating that schools not used for military purposes were deliberately attacked. Under IHL hospitals, apart from the protection they benefit from as civilian objects, enjoy special protective status. Damage caused to hospitals in the course of a conflict does not in itself amount to a direct attack against such an object. While it may be so if the hospitals have lost their protection because they have been “used to commit, outside their humanitarian duties, acts harmful to the enemy,” damage can also be collateral, caused by an attack on a legitimate military target. According to Human Rights Watch, one of the civilian objects hit by GRAD rockets in Tskhinvali when the Georgian forces attacked was the South Ossetian Central Republican Hospital (Tskhinvali hospital), the only medical facility in the city that was assisting the wounded, both civilians and combatants, in the first days of the fighting. According to this organisation, the rocket severely damaged treatment rooms on the second and third floors. While the damage caused to hospitals by GRAD rockets or artillery shelling resulted from the use of inaccurate means of warfare, the helicopter fire at the hospital in Gori seems to indicate a deliberate targeting of this protected object. This may amount to a war crime. There are also cases of aerial attacks on civilian convoys fleeing South Ossetia near Eredvi, more than likely carried out by Russian forces according to Human Rights Watch which interviewed residents who had fled. As stressed by this organisation, there appeared to be no Ossetian or Russian military positions in that area that would have been targeted by the Georgian army. The Mission was unable to reach a definite conclusion as to whether the attacks on vehicles by Georgian forces were contrary to IHL. Only deliberate Georgian attacks on civilian vehicles would amount to a war crime. Similarly, circumstances surrounding the attacks on civilian convoys fleeing the area of conflict, possibly by Russian planes, are difficult to ascertain. If confirmed, such attacks would amount to a war crime. Generally, more information is needed in order to assess both the extent of the damage and the facts relating to the circumstances of the military operations. This is critical as the special protection given to cultural property ceases only in cases of imperative military necessity. The IIFFMCG deems it necessary first to address the issue of the types of weapons used and the ways in which they were used before proceeding with a general assessment of the question of indiscriminate attacks. […] None of the weapons used in the context of this conflict is covered by a specific ban, whether be it conventional or customary. Nevertheless, while none of the weapons used during the August 2008 conflict could be regarded as unlawful per se under the general principles of IHL, the way in which these weapons were used raises serious concern in terms of legality. This is significant considering that the weapons in question were used mostly in populated areas. The two types of controversial weapon are the GRAD rockets and cluster bombs. As rightly stated by Georgia, “at the time of the international armed conflict between Russia and Georgia in August 2008, Georgia was not party to any of the international legal instruments expressly prohibiting the use of GRAD Multiple Rocket Launching systems or cluster munitions in international armed conflict; neither was there any rule of customary international law, applicable to Georgia, prohibiting the above.” This also holds true for Russia. [This statement], however, contradict the information gathered by the IIFFMCG. According to many reports and accounts from witnesses present in Tskhinvali on the night of 7 August 2008, Georgian artillery started a massive area bombardment of the town. Shortly before midnight the centre of Tskhinvali came under heavy fire and shelling. OSCE observers assessed that this bombardment originated from MLRS GRAD systems and artillery pieces […]. Narratives of the first hours following the offensive indicate intense shelling with incoming rounds exploded at intervals of 15 to 20 seconds. Within 50 minutes (8 August, 0.35 a.m.) the OSCE observers counted more than 100 explosions of heavy rounds in the town, approximately half of them in the immediate vicinity of the OSCE field office which was located in a residential area. The OSCE compound was hit several times, and damaged. Investigations and interviews carried out by HRW and Amnesty International seem to confirm these facts. Human Rights Watch concluded that Georgian forces fired GRAD rockets using, among other weapons, BM-21 “GRAD,” a multiple rocket launcher system capable of firing 40 rockets in 20 seconds, self-propelled artillery, mortars, and Howitzer cannons. […] Amnesty International representatives observed extensive damage to civilian property within a radius of 100-150 m from these points, particularly in the south and south-west of the town, highlighting the inappropriateness of the use of GRAD missiles for targeting these locations. The Fact-Finding Mission concludes that during the offensive on Tskhinvali the shelling in general, and the use of GRAD MLRS as an area weapon in particular, amount to indiscriminate attacks by Georgian forces, owing to the characteristics of the weaponry and its use in a populated area. Furthermore, the Georgian forces failed to comply with the obligation to take all feasible precautions in the choice of means and methods of warfare with a view to avoiding, and in any event to minimising, incidental loss of civilian life, injury to civilians and damage to civilian objects. The other highly debated weapons used in the course of the conflict are the cluster munitions. While the use of cluster bombs in order to stop the advance of the Russian forces was acknowledged by the Georgian authorities, Moscow did not officially authorise such use by its own forces. As for the presence of clusters that hit nine villages in the Gori District, HRW noted that “several factors suggest that Georgian forces did not target these villages, but rather that the submunitions landed on these villages owing to a massive failure of the weapons system.” HRW documented a number of civilian casualties as a consequence of these incidents, either when cluster munitions landed, or from unexploded duds. Concerning the alleged use of cluster bombs by Russia, this state reiterated its position in its replies to the IIFFMCG questionnaire: “Cluster munitions, though available to the strike units of the Russian Federation Air Force and designed to inflict casualties on the enemy and destroy military equipment in open spaces, have never been used.” This contradicts evidence, collected by Human Rights Watch, which asserted that cluster munitions were used, inter alia, in the village of Variani, killing three people; in Ruisi; and in the main square of Gori city, killing six people. The death of a Dutch journalist in the course of the 12 August cluster munitions strike on Gori’s main square strengthens this claim that Russia did use cluster munitions. This is significant as not only HRW but also the commission of inquiry set up by the Dutch Ministry of Foreign Affairs concluded that this journalist had been killed as a result of the use of such weapons by the Russian side. The use by Georgia of certain weapons including GRAD MRLS during the offensive against Tskhinvali and other villages in South Ossetia did not comply with the prohibition of indiscriminate attacks and the obligation to take precautions with regard to the choice of means and methods of warfare. The use of artillery and cluster munitions by Russian forces in populated areas also led to indiscriminate attacks and the violation of rules on precautions. In several cases, Georgia and Russia conducted attacks that were indiscriminate and consequently violated IHL. […] Most important are the issue of the intelligence used to select targets and the question of the presence of the civilian population in Tskhinvali at the time of the offensive. Amnesty International […] noted that “at the time of the initial shelling of Tskhinvali, Georgian forces were positioned several kilometres from Tskhinvali, at a distance from which it would have been difficult to establish the precise location of the Ossetian positions firing on them. Nor, as Ossetian forces were lightly armed and mobile, could there have been any guarantee that positions from which munitions had been fired in preceding days were still occupied on the night of 7 August.” It also expressed concern about whether precautions were actually taken in relation to the choice of means and methods and issuing a warning to the civilians. […] There is […] no doubt that many people were still in Tskhinvali on the night of 7 August. Consequently, the question is about the type of precautionary measures that were taken by the Georgian military command to minimise the harm to civilians, both during the shelling and afterwards, in the course of the ground operation. During the meeting between representatives of the Ministry of Defence of Georgia and the IIFFMCG in June 2009, the Mission’s experts were told that the Georgian forces had used smoke grenades to warn the population before artillery shelling. This seems to fall short of giving effective advance warning under IHL. In its replies to the questionnaire, Georgia indicated that “moreover, at 15:00 on 8 August, the Georgian authorities declared a three-hour unilateral cease-fire to allow the remaining civilians to leave the conflict area in the southern direction from Tskhinvali towards Ergneti.” This appears to be not enough in the light of the IHL obligation to take all feasible measures. When the offensive on Tskhinvali was carried out, at night, no general advance warning was given to the remaining population. During the offensive on Tskhinvali and other villages in South Ossetia, Georgian forces failed to take the precautions required under IHL. Under IHL, the defender too is bound by obligations to minimise civilian casualties and damage to civilian objects such as houses. Article 58 of Additional Protocol I of 1977 sets out the obligations with regard to precautions against the effects of attacks […]. This is a rule of customary law applicable in both types of conflict. IHL also prohibits the use of human shields. This is a clear violation of the obligation to avoid locating military objectives within or near densely populated areas. It probably did not constitute a violation of the prohibition against using human shields, however, as this rule requires the specific intent to prevent attacks by deliberately collocating military objectives and civilians. South Ossetian forces reportedly violated IHL by firing from houses and residential buildings and using them as defensive positions, putting the civilian population at risk. Under IHL, rules regarding detention and related status are different depending on the type of conflict, i.e. whether it is international or non-international in character. In the former case, combatants benefit from the status of prisoner of war under certain conditions. “All Georgian-held prisoners were exchanged for the 159 Georgian civilians and 39 POWs held under Russian authority. The ICRC was afforded unimpeded access to Georgian detention facilities and visited three of the five POWs – the other two were taken prisoner late in the war. The ICRC visited facilities maintained by the Ministries of Defence and Justice on a number of occasions, inspecting the conditions in which not only the POWs were detained, but also those of the detained members of separatist illegal armed formations. There are also many cases where civilians of Georgian ethnicity have been deprived of their liberty. Such cases include the arrest and detention of civilians in inappropriate conditions by Ossetian forces, some being kidnapped and released against payment of a ransom. Many civilians also described their arrest as being taken hostage to be used in exchanges later. Two elderly women from Achabeti village were brought by South Ossetian forces to Tskhinvali on 11 August and were detained together with more than 40 people, most of them also elderly, in the basement of what they identified as the FSB building in Tskhinvali. They were all kept together for three days in the same small room, where they had to take turns to lie down on a few wooden beds, and with very little bread or water. They were then kept in the yard for five days and had to clean the streets. Many civilians detained had to burry corpses. During the meeting the IIFFMCG experts had on 5 June 2009 with representatives of the de facto Ministry of Defence and Ministry of Interior of South Ossetia, these authorities actually acknowledged that civilians had been present in the Ministry of Interior building, but they indicated that they had been taken there in the context of safety measures to protect them from the effects of the hostilities. Not only is this in complete contradiction with numerous testimonies from persons detained there but, even if it were so, it would be impossible to explain why, if such measures were taken for protection purposes, those persons were not released until 27 of August, two weeks after the hostilities had ended, and why they had to clean the streets and bury dead bodies. It seems that there have been numerous cases of illegal detention of civilians, arbitrary arrests, abduction and taking of hostages, mostly committed by South Ossetian forces and other South Ossetian armed groups. The conflict in Georgia and its aftermath have been characterised by a campaign of large-scale pillage and looting against ethnic Georgian villages in South Ossetia and in the so-called buffer zones. While this was mainly committed by Ossetian military and militias, including Ossetian civilians, there are many eyewitness reports of looting by Russian forces. Most importantly, numerous testimonies refer to Russian soldiers being present while armed Ossetians were looting. Some pillage started immediately after the withdrawal of the Georgian forces. […] By way of example, the HRAM told of a woman in Kekhvi who saw her house being looted by a group of “Ossetians” wearing military uniforms with white arm bands. The men also stole her car and loaded it with furniture from a neighbour’s house before driving away. As she fled the village, she saw “Ossetian” soldiers who were being protected by Russian forces and were pillaging shops and other houses. It is critical to stress that in the aftermath of the conflict the looting and pillage intensified both in South Ossetia and in the buffer zone […]. Moreover, Ossetian villagers also participated in looting in September, demonstrating a lack of protection and policing by the Ossetian and Russian forces. Many testimonies refer to Russian forces being present whilst Ossetian militias were looting. Far from being a few isolated cases, in certain villages the pillage seems to have been organised, with looters first using trucks to take the furniture and then coming to steal the windows and doors of houses. During and, in particular, after the conflict a systematic and widespread campaign of looting took place in South Ossetia and in the buffer zone against mostly ethnic Georgian houses and properties. Ossetian forces, unidentified armed Ossetians, and even Ossetian civilians participated in this campaign, with reports of Russian forces also being involved. The Russian forces failed to prevent these acts and, most importantly, did not stop the looting and pillage after the ceasefire, even in cases where they witnessed it directly. While IHL provides that parties to an international armed conflict may seize military equipment belonging to an adversary as war booty, in both international and non-international armed conflict it prohibits the destruction or seizure of the property of an adversary, unless required by imperative military necessity. Article 33 of Geneva Convention IV states that “Reprisals against protected persons and their property are prohibited.” Under Article 147 of this convention, “extensive destruction and appropriation of property, not justified by military necessity and carried out unlawfully and wantonly” is a grave breach. The ICC Rome Statute also qualifies these acts as war crimes in non-international armed conflict. This prohibition should also be read in conjunction with the prohibition under IHL against collective punishment. In this regard it is […] paramount to stress that a number of testimonies seem to suggest a pattern of deliberate destruction and torching in the ethnic Georgian villages in South Ossetia that was different in scale and motives from what happened in the buffer zone. After the cease-fire this campaign did not stop, but actually intensified. Regarding the extent of the damage caused, it is clear from both eyewitness reports and satellite images that many houses were burned in the last two weeks of August and in September. […] Furthermore, although to date unverifiable, one person interviewed by the Mission’s expert claimed that some burned houses were later destroyed to conceal the fact that they had been torched. This may be related to confirmed reports of burned houses having been “bulldozed” in September. The IIFFMCG also wishes to note that this campaign of burning houses in South Ossetia was accompanied by violent practices such as preventing people from extinguishing fires under threat of being killed or forcing people to watch their own house burning. The IIFFMCG concludes that […] after the bombing, South Ossetians in uniform as well as Ossetian civilians who followed the Russian forces’ advance undertook a systematic campaign of arson against homes and other civilian buildings in villages populated predominantly by ethnic Georgians. Interviews by the IIFFMCG expert confirmed that with few exceptions Russian forces did not participate directly in the destruction of villages, aside from a brief period in mid-August, but nor did they intervene to stop it. South Ossetians in uniform, and Ossetian civilians who followed the Russian forces’ advance, undertook a systematic campaign of arson against homes and other civilian buildings in villages populated predominantly by ethnic Georgians, including in the so-called buffer zones. With few exceptions, Russian forces did not participate directly in the destruction of villages, aside from a brief period in mid-August, but neither did they intervene to stop it. Under the IHL on military occupation the occupying power, once it has authority over a territory, has an obligation to take all the measures in its power to restore, and ensure, as far as possible, public order and safety. Ensuring safety includes protecting individuals from reprisals and revenge. There is also an obligation to respect private property. “From day one of the operation, the Russian military command undertook exhaustive measures to prevent pillaging, looting and acts of lawlessness with respect to the local Georgian population. All personnel serving in units that took part in the operation was familiarised with the Directive issued by the General Staff of the Russian Armed Forces and the order given by the Army Commander-in-Chief ‘to maintain public safety and ensure the security and protection of citizens residing in the territory of the South Ossetian Republic’. In general, these elements demonstrate that to a certain degree, Russian forces were in a position to ensure public order and safety in the territories they were stationed in, and claim to have undertaken measures in this regard. This contrasts strikingly with what happened on the ground, where there was a serious lack of action by the Russian troops to prevent violations and protect ethnic Georgians. As reported by HRW, two residents of Tkviavi, a village 12 kilometres south of Tskhinvali that was particularly hard hit by looters from South Ossetia, said that the looting had decreased when the Russian forces maintained a checkpoint in the village, although the marauders kept coming during the night. Furthermore, several Tkviavi villagers told Human Rights Watch that they believed that more frequent patrolling by the Russian forces or Georgian police would have improved security in the area. A witness told Human Rights Watch that looters “seemed to be afraid to encounter the Russians, and were hiding from them,” suggesting, according to HRW, that had Russian forces taken more preventive measures to stop violence against civilians these measures would have been effective. At this stage it is critical to note that the measures such as checkpoints introduced by the Russian forces were meant to prevent violations by South Ossetian militias, and consequently ensure respect of IHL. Oddly, one result of the checkpoints was actually to prevent the Georgian police from maintaining law and order in those areas, and in some cases to stop villagers attempting to return home from Gori to villages in the “buffer zone,” while Russia continued to invoke the lawlessness. Nevertheless, from all the testimonies collected, it appears that the Russian authorities did not take the necessary measures to prevent or stop the widespread campaign of looting, burning and other serious violations committed after the ceasefire. The Russian authorities and the South Ossetian authorities failed overwhelmingly to take measures to maintain law and order and ensure the protection of the civilian population as required under IHL and HRL. According to the Russian Federation, “[…] This process was not caused by any premeditated actions directed against ethnic Georgians per se.” This seems to contradict various testimonies according to which, days prior to the outbreak of the conflict, ethnic Georgians left because of the shelling against ethnic Georgian villages in South Ossetia […]. There were several reasons for the displacement of approximately 135,000 persons in the context of the 2008 August conflict and its aftermath. While the need to avoid the danger of hostilities and the general climate of insecurity account for most of the displacements, numerous documented cases of violations of IHL and HRL committed in order to force the displacement of ethnic Georgians in South Ossetia lead us to conclude that the prohibition against arbitrary or forced displacement has been violated. Several elements suggest the conclusion that ethnic cleansing was carried out against ethnic Georgians in South Ossetia both during and after the August 2008 conflict. According to Georgia, “many of the ethnic Georgians who fled their villages in the Tskhinvali region/South Ossetia during the conflict and its immediate aftermath have not been able to return.” It referred inter alia to declarations made by the de facto South Ossetian authorities making people’s return conditional on their acceptance of South Ossetian passports and renunciation of Georgian passports […]. The authorities in Abkhazia and South Ossetia, together with Russia, should take all appropriate measures to ensure that IDPs are able to return to their homes. No conditions for exercising this right, other than those laid down by international standards, shall be imposed on IDPs. Georgia shall respect the principle of return as a free, individual decision by displaced persons. In South Ossetia there has been a serious failure on the part of the authorities and the Russian forces to protect the property rights of IDPs during – and, especially, after – the August 2008 conflict. Furthermore, South Ossetian forces did participate in the looting, destruction and burning of houses during and after the conflict. Comprehensive reparation programmes should be designed and implemented. They should be seen as a complement to the exercise of the right to return of IDPs, and not a substitute for this right. Under IHL, States have an obligation to investigate war crimes allegedly committed by their nationals and members of their armed forces, as well as other persons falling under their jurisdiction. The obligation to investigate and prosecute applies in both international and non-international armed conflict. These obligations to investigate and prosecute call for accountability on the part of all the sides that committed violations of IHL and HRL, whether they be Russians, Georgians, South Ossetians or Abkhaz. In the light of the grave violations of IHL and HRL committed during the conflict and in the weeks after the cease-fire, Russia and Georgia should undertake or continue prompt, thorough, independent and impartial investigations into these violations, and should prosecute their perpetrators. This is also an obligation incumbent on the authorities in South Ossetia. The fight against impunity is one of the prerequisites for a true and lasting solution to the conflict. There is a general obligation under IHL for a state responsible for violations of international humanitarian law to make full reparation for the loss or injury caused. This raises serious concerns as it would mean that no such reparations were paid to persons who suffered as a result of the hostilities on the territory of Georgia proper or in Abkhazia. Furthermore, it is crucial that such compensation should also be allocated to ethnic Georgians for the reconstruction of their homes in South Ossetia. The Russian and Georgian governments should provide compensation for civilian damage and destruction caused by violations of international humanitarian law for which they are respectively responsible. Compensation is also vital in the light of the extensive destruction of property by South Ossetian forces and other armed individuals. Accountability and reparation for violations of IHL and HRL are vital for a just and lasting peace. In the short term, this is also crucial in order to enable individuals who lost their property to rebuild their lives. Do you agree with the IIFFMCG that certain rules of IHL may still apply after the end of hostilities? In the present case, which rules, if any, still applied after 12 August? (Para. ) Do you agree that there is no difference between the rules governing international armed conflicts and those governing non-international armed conflicts? As IHL stands today, does it make a difference which law applies? Do you agree that similar rules apply to both? Even the rules relating to military occupation? When the same customary rules apply to both types of conflict, does that imply that the differences between the two legal systems are no longer valid? What do you think of the IIFFMCG’s argument that if “Russia’s military intervention cannot be justified under international law, and if neither Abkhazia nor South Ossetia is a recognized independent state”, the law of occupation applies? Does it matter whether the Russian Federation’s intervention was justified under international law for IHL and the law of occupation to apply? Does it matter whether Abkhazia and South Ossetia were independent States? Had they been independent, would the Russian presence on their territories not have amounted to occupation? Can South Ossetia be considered an occupied territory even though Georgia agreed to the presence of Russian troops in the Sochi agreement? Was the buffer zone outside South Ossetia occupied even though Georgia agreed to the temporary presence of Russian troops in the 12 August ceasefire? In what instances does the IIFFMCG conclude that IHL was violated? In what instances is it unable to assess whether IHL was or was not violated? Why is it more often possible to conclude that IHL has been violated when it comes to the treatment of persons and property under control of the enemy than in the conduct of hostilities? What should the IIFFMCG have established in order to conclude whether the rules of IHL on the conduct of hostilities had been violated? Why has it been unable to establish those facts? (Paras -) Does IHL prohibit ethnic cleansing as such? Do other rules of IHL prohibit acts that may constitute ethnic cleansing?